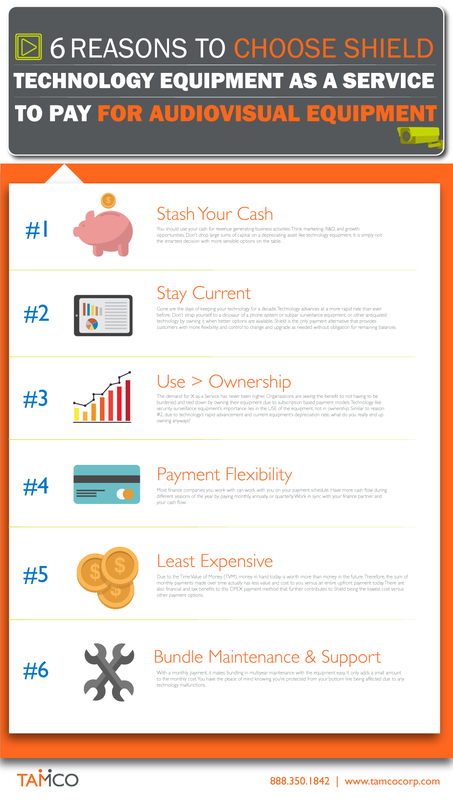 This infographic explains the top seven reasons you need consider this AV as a Service payment option to be sure you are making the most logical financial decision when acquiring new technology. TAMCO Shield, technology equipment as a service, is exclusive to TAMCO. There is no other payment option that can offer this comparable value. It addresses a wide range of business concerns that arise when an organization is procuring any type of new technology solution. But most importantly it protects you from the only constant, change.